Thomas appeared for a sentencing hearing regarding his convictions in a stabbing incident that occurred on July 03, 2016, at the McKenzie Landing Tavern in the Town of Scott, which sent two men to the hospital with serious injuries. BURNETT COUNTY -- The Court has sentenced Allen Thomas for his convictions in the McKenzie Landing stabbing incident from July 2016. DrydenWire.com reported on September 8, 2018, that Thomas had been found guilty of two counts of Class E Felony Aggravated Battery-Intend Great Bodily Harm. These charges replaced Thomas’s original charges of two counts of Class A Felony Attempt 1st-Degree Intentional Homicide in exchange for a stipulation to the facts of the case and waiver of Thomas’ right to a Jury Trial, a change that would protect the victims in the case from having to testify at Jury Trial, according to a statement released by the Burnett County District Attorney’s Office. According to online circuit court records, on November 29, 2018 Thomas appeared for a sentencing hearing regarding his convictions in the stabbing incident. The State recommended a sentence of 14 years: 9 years initial confinement in prison to be followed by 5 years of extended supervision. Thomas’ defense attorney addressed the Court, and recommended an imposed and stayed sentence to allow Thomas to pay restitution to the victims. The Court ordered an imposed and stayed sentence of 15 years on each of the convictions: 10 years confinement in prison to be followed by 5 years of extended supervision; the sentences would be served consecutively. The Court also ordered and imposed 10 years of probation for Thomas with 360 days of conditional jail time that may be served at a jail outside of Burnett if there is no additional cost to Burnett County. Thomas was granted Huber work release if he can qualify to the County where he is serving the jail sentence. The State of Wisconsin was ordered to supply a restitution figure within 30 days and if Thomas wishes to contest that restitution amount, he has 30 days in which to do so. Conditions of Thomas’ probation require him to account for ‘each and every penny he earns’; consult with Veterans’ Services regarding treatment for Post Traumatic Stress Disorder; and complete an alcohol and other drug assessment and comply with any treatment recommended. In addition Thomas is prohibited from being in any establishment that sell/serve alcohol as their primary business and is also prohibited from consuming alcohol under any conditions. Thomas will also be subject to a curfew from 9a to 5p. The Court ordered that once a restitution amount is filed in the Court, Thomas shall repay that restitution in the amount of $2,000 per month. Online circuit court records show that Thomas still have other pending criminal charges in Pierce County, Pepin County, and Burnett County. Details of those cases are not known to DrydenWire.com. BURNETT COUNTY -- Allen Thomas was found Guilty after a two day Court Trial regarding charges stemming from a 2016 incident at McKenzie Landing in Burnett County. Thomas was originally charged with two counts of Class A Felony Attempt 1st-Degree Intentional Homicide following the investigation into an incident at McKenzie Landing on July 3, 2016 when law enforcement responded to a report of a stabbing. The victims in the incident and witnesses to the incident identified Thomas as the suspect. In May 2018, DrydenWire published a statement from former Burnett County District Attorney, William Norine, that in exchange for a stipulation to the facts of the case and waiver of his right to a Jury Trial, Thomas’s original charges were replaced by two counts of Class E Felony Aggravated Battery-Intend Great Bodily Harm. In his statement Norine said that this change would spare the victims and their families from having to testify at a Jury Trial. Online circuit court records show that after a two day court trial, held on September 6 and 7, 2018, the Court found Thomas guilty of both counts of Class E Felony Aggravated Battery-Intend Great Bodily Harm. Thomas faces a possible maximum penalty of fifteen years in state prison on each count. The Court also modified Thomas’ bail bond conditions, ordering him to turn all of his firearms over to his brother. Thomas is prohibited from possession of dangerous weapons, including knives, and may not have any contact with McKenzie Landing or the campground or the victims from this incident. A sentencing hearing has been scheduled for Thomas in November 2018. Burnett County District Attorney William Norine responded Wednesday to a request from DrydenWire.com for a statement on the recent change in charges in the case of Allen Gene Thomas. Charges of attempted homicide against Allen Thomas were replaced by different charges, according to online circuit court records. The case was not dismissed. Thomas was originally charged with two counts of Class A Felony Attempted 1st Degree Intentional Homicide as well as Class E Felony Aggravated Battery — Intend Great Bodily Harm following an incident in July 2016 at McKenzie Landing in Burnett County. After his statement on the charges in the case, Norine expressed frustration over the way local news sources reported the change. Norine said, "Responding to recent news reports about this trial, it just seems to me that the press in these parts seems to ‘spin' news stories in the worst possible light for the prosecution, making us look as bad as possible, when in fact the interests of strategy and justice are being pursued to the fullest extent possible, with consultation with all the parties affected." Charges of Attempted Homicide against Allen Thomas have been dismissed according to online circuit court records. Allen Thomas was charged with 2 counts of Class A Felony Attempted 1st Degree Intentional Homicide as well as Class E Felony Aggravated Battery - Intend Great Bodily Harm following an incident in July 2016 at McKenzie Landing in Burnett County. DrydenWire.com reported on this incident at the time, in which Thomas allegedly stabbed 2 individuals at McKenzie Landing tavern. According to online circuit court records, at a recent court hearing, the Attempted Homicide charges were dismissed upon the State’s motion. Details of the reason for the dismissal are not known to DrydenWire.com at this time. A separate case charging Thomas with 3 counts of Class H Felony Perjury-Before Court, and 3 counts of Class H Felony Bail Jumping was also dismissed upon the State’s Motion. A 3-day Court Trial hearing is scheduled for September 2018 on Thomas’ remaining charges of Aggravated Battery. Allen Thomas, the man charged with stabbing 2 victims in an incident which occurred at McKenzie Landing tavern in July 2016, is now scheduled to have a Jury Trial on his charges in May 2018. Thomas is charged with two counts of Felony Attempted First Degree Intentional Homicide and two counts of Felony Aggravated Battery. According to the criminal complaint charging Thomas with Attempted Homicide and Aggravated Battery, one of the victims provided the Sheriff's Office with a description of the man who attacked them, and was later able to identify Thomas as his attacker from a double-blind six-person photo array. The two victims had slice-type injuries across their throats, and were covered in blood when investigators made contact with them. They were transported from the scene by ambulance for medical care. Thomas is also charged with 3 counts of Class H Felony Perjury Before Court, and 3 counts of Class H Felony Bail Jumping in a separate Burnett County Case based on circumstances in which telephone records were recovered by law enforcement which contradicted sworn testimony that Thomas provided at a hearing regarding the stabbing incident. Thomas also provided a written confession regarding the stabbing incident and then later filed a motion with the Court to Suppress his confession. At a hearing on May 26, 2017, the Court denied Thomas's Motion to Suppress his confession. A third criminal case is filed in Burnett County Circuit Court charging Thomas with an additional count of Class H Felony Bail Jump, and in a Pierce County Circuit Court Case, Thomas is facing charges of Class G Felony Theft of Movable Property greater than $10,000. Online circuit court records indicate that Thomas posted $10,000 cash bond and remains out of custody. Felony Perjury charges have been filed in Burnett County Circuit Court against a man already facing Attempted Homicide charges in Burnett County. Allen Thomas, of Pepin, WI was charged in Burnett County Circuit Court in July 2016 with 2 counts of Class B Felony Attempted 1st Degree Intentional Homicide and 2 counts of Class E Felony Aggravated Battery following an incident on July 3rd, 2016, at the McKenzie Landing Bar and Restaurant in which Thomas allegedly used a knife to inflict cuts on the throats of two male victims. Public record shows that on June 28, 2017, the Burnett County District Attorney's Office filed a new criminal complaint against Thomas charging him with 3 counts of Class H Felony Perjury Before Court, and 3 counts of Class H Felony Bail Jumping. The criminal complaint states that Thomas has been charged with perjury due to telephone records produced by the Barron County Jail where he had been confined which contradict sworn testimony given by Thomas at a Motion Hearing on May 26, 2017, regarding his charges for Attempted Homicide and Aggravated Battery. Thomas provided a written confession regarding his charges of Attempted Homicide and Aggravated Battery to law enforcement while he was being held at the Barron County Jail. He later filed a Motion to Suppress that written confession. The criminal complaint further states that Thomas also presented to the Court that his Sixth Amendment Right to Counsel had been violated while he was confined at the Barron County Jail because he had not been able to consult with a defense attorney. Thomas was called to the stand at the Motion Hearing on May 26, 2017 and testified under oath, stating that he could not get the jail telephone to work and that he was not able to speak with an attorney, and in fact, that he was made to understand that an attorney had attempted to reach him and was being prevented from speaking to him. Phone records provided by the Barron County Jail contradict Thomas's testimony, showing that instead Thomas made a total of at least 18 phone calls to various parties while in custody at the Barron County Jail and spoke with 2 separate attorneys on 2 different days. The Court denied Thomas's Motion to Suppress his confession and ordered that Defense must file a Specific Motion regarding 6th Amendment Right Violations by June 28, 2017, if such a Motion were to be considered by the Court. The two victims had slice-type injuries across their throats and were covered in blood when investigators made contact with them. They were transported from the scene by ambulance for medical care. The Burnett County District Attorney's Office filed charges against Thomas July 3, 2017, with a warrant for his arrest. Public record shows that Thomas appeared for a bail bond hearing 10 days later on July 13, and the Court set a $10,000 cash bond for Thomas which was posted on July 22, 2016. On May 17, 2017, an additional criminal complaint was filed in Burnett County Circuit Court charging Thomas with 1 count of Class H Felony Bail Jumping, and on May 9, 2017, charges were filed against Thomas in Pierce County Wisconsin Circuit Court charging him with Class G Felony Theft of Movable Property with a Value Greater than $10,000. Details of these two criminal cases filed against Thomas are unknown to DrydenWire.com at this time. Thomas appeared in Burnett County Circuit Court on June 28, 2017, for an initial appearance on his Felony Bail Jump charge. Public record indicates that Thomas was served with the criminal complaint charging him with Perjury and that he is scheduled to appear for those charges in September. The man arrested for the stabbing incident which occurred at the McKenzie Landing Tavern in the Town of Scott, Burnett County on July 3rd, 2016 has now been charged criminally in Burnett County Circuit Court. Criminal charges were filed on July 8th, 2016 in Burnett County Circuit Court against Allen G. Thomas of Pepin, WI including two counts of Felony Attempted First Degree Intentional Homicide and two counts of Felony Aggravated Battery. These charges were filed with a warrant for Mr. Thomas's arrest. Mr. Thomas had a bail hearing in Burnett County Circuit Court on July 13th, 2016. A cash bail bond was set of $10,000.00, and Mr. Thomas remained in custody until July 22nd, 2016 when that bond amount was posted. Conditions of Mr. Thomas's bail include no contact with the victims of the charges filed and no possession any dangerous weapons including knives. According to public record, the two victims of these charges both suffered slash wounds to their necks. An investigation by the Burnett County Sheriff's Office led to Mr. Thomas being twice identified as the suspect via a double-blind six-person photo array. Mr. Thomas has an initial court appearance on these charges scheduled in Burnett County Circuit Court on August 10th, 2016. DrydenWire will continue to update the community on the progress of this case. Town of Scott, Burnett County, WI - An arrest has been made in connection with an altercation that occurred on July 03, 2016 at the McKenzie Landing Tavern in the Town of Scott, which sent two men to the hospital with serious injuries. On July 07, 2016 Burnett County investigators executed search warrants at locations in Burnett, Pepin, and Pierce Counties. 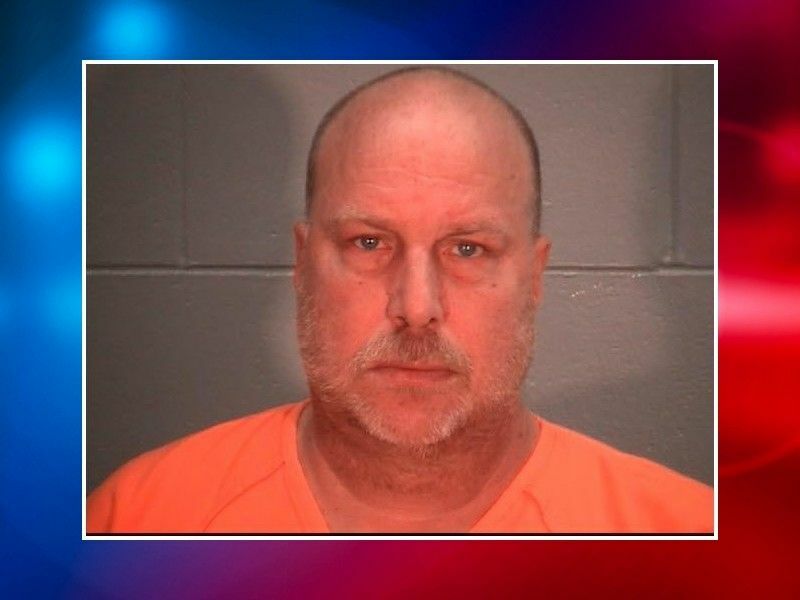 Allan Gene Thomas, 53 of Pepin, WI was taken into custody pursuant to an arrest warrant and has been charged by the Burnett County District Attorney with two counts of Attempted First Degree Intentional Homicide, and two counts of Aggravated Battery. Thomas is alleged to have attacked a 54-year old man and a 60-year old man with an edged weapon during this incident; causing a slash wound to each of the victim’s necks. If convicted, Thomas faces up to 60 years imprisonment on each Attempted Homicide charge, and up to 15 years imprisonment and a $50,000 fine on each Aggravated Battery charge. Thomas remains in jail at this time, and a date for a bond hearing has not been set. Both victims have since been released from the hospital and are recovering at home. Burnett County investigators were assisted by the Pepin County Sheriff’s Office and the Ellsworth Police Department in executing these search warrants. No further information is being released at this time, and the investigation is ongoing. According to Burnett County Chief Deputy, Scott Burns, two individuals were stabbed at approximately 1:30 A.M. early Sunday morning near McKenzie Landing in Burnett County. The victims were treated and have been released from the hospital. At this point, Chief Deputy Burns states that the suspect is still at large, and that law enforcement is not limiting the search to just one person. Burns also stated to DrydenWire that there may have been witnesses to this situation and encourages anyone with any information to contact the Burnett County Sheriff's Office and speak with a detective by calling 715-349-2121.